Are you unhappy with the appearance of your smile? If the answer is yes, rest assured you are not alone. Smiles are among some of the most commonly cited aspects of our appearance that we dislike. Unfortunately, actually hiding our teeth is somewhat tricky. A smile is an important gesture and one that can convey many different messages, but for those people who dislike the appearance of their teeth, it can be difficult to do. Others try to hide their teeth as much as possible, perhaps by refusing to eat in public or staying as quiet as possible in group situations. What if we would tell you that you do not have to live with a smile that makes you self-conscious? With cosmetic dentistry and a smile makeover, you can transform the appearance of your teeth and embrace a smile that reflects a confident, happier you. 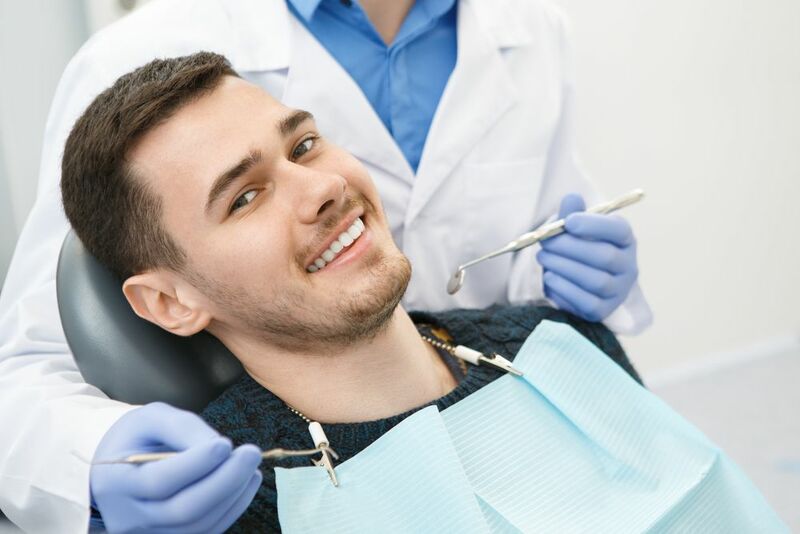 The exact treatments that are included in a smile makeover tend to vary from patient to patient depending on your budget and which aspects of your smile you would most like to see improved. Nevertheless, the following are among the most commonly requested cosmetic dental treatments we can combine for a smile makeover. The most commonly requested cosmetic dental treatment in the world, teeth whitening is a simple, non-invasive process that can transform the appearance of any smile. In-office whitening uses professional grade bleaching products which are pasted onto the teeth. A light is then used to create the chemical reaction that whitens the teeth. The exact number of treatments required will depend on how many shades lighter the patient wishes to go, and how well they respond to treatment. Crowns are often thought of as being purely functional in design, but porcelain varieties are increasingly used to cover cracks and other damage to the teeth. Porcelain crowns can be created in a variety of shades making it possible to match them to the surrounding teeth for the ultimate in discretion. A successful alternative to teeth whitening, porcelain veneers are thin, shell-like covers that are bonded to the outer enamel of your teeth with the purpose of covering stains and other imperfections. Much like porcelain veneers, dental bonding is used to address smile imperfections such as chips, cracks and stains. However, bonding involves moulding a special resin to the outside of your teeth. Very few of us are blessed with naturally teeth straight teeth or a bite that meets perfectly when we close our jaw. Orthodontic braces and Invisalign can correct teeth are crooked, twisted or poorly spaced, as well as address over and underbites. Dental implants are the new gold standard in tooth replacement, whether for functional or aesthetic reasons. They both look and feel completely natural and are durable enough to last for a lifetime. If you would like to boost your confidence and self-esteem by improving the appearance of your teeth, place your smile in the highly experienced and skilled hands of our dentist, Dr. Cadle. Call our office today to schedule your consultation for a smile makeover at 727-312-1300.